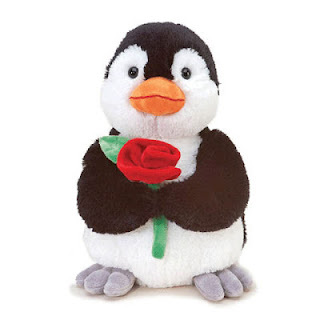 From the Canyon Edge: Linux: Won't you be our Valentine? It will be a lovely week next week! Near and dear to my heart, I'm personally excited that Gazzang will be introduced as one of the newest card-carrying members of the Linux Foundation! I've been an individual member of the Foundation for years, and have attended nearly a dozen LF events. We're extremely, extremely proud to add Gazzang to its very impressive list of active corporate members. What excellent company! I feel that we at Gazzang are differentiating ourselves from our competitors with comprehensive offerings around big data security, enterprise class encryption, and innovative key management -- all built exclusively in and on top of Linux. And in celebration of all this love, Gazzang's fabulous marketing department has created a special Valentine's Day card for Linux, speaking on behalf of enterprises and big businesses far and wide that are just head over heels in love with the Penguin :-) Enjoy!